Farmer's Market $1 Deals ~ Black Friday 2015 ~ Happy Thanksgiving! Our Farmer's Market is open from November 25th through November 30th. You'll find twenty (20) products from me on sale for $1 each, including four (4) new template sets that you can take a peek at below! Fuss Free: Build A Background and Fuss Free: Build A Background 2 contain templates designed with multiple paper pieces to help you build unique backgrounds quickly and easily. The backgrounds are topped with photos and clusters so you can finish your layouts with ease! 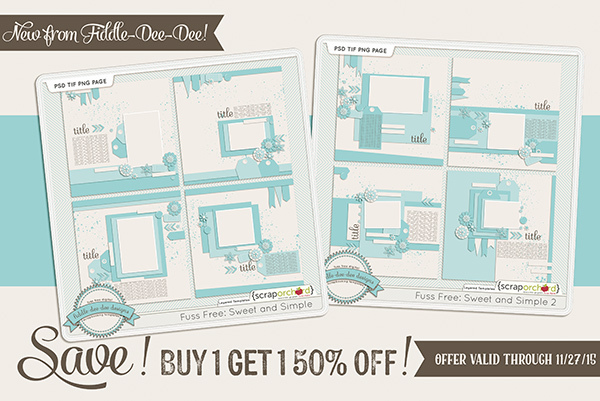 These template sets are $1 each in the Farmer's Market sale (Nov 25-Nov 30). Gotta lotta photos? Then these templates are for you. 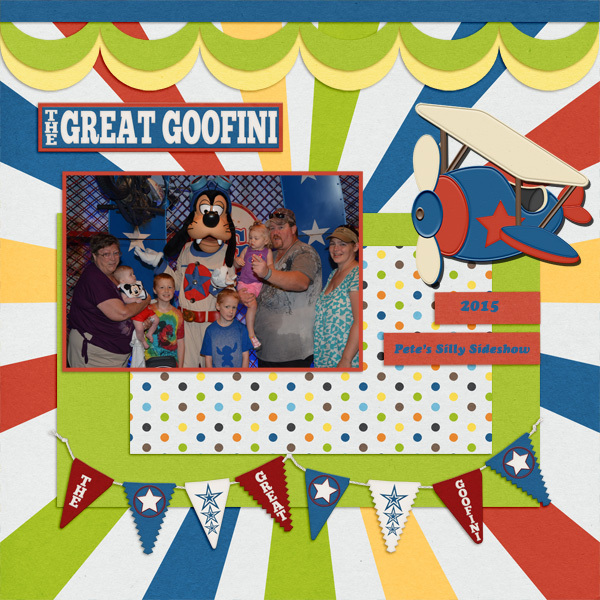 Fuss Free: Gotta Lotta and Fuss Free: Gotta Lotta 2 templates feature multiple photo spots sprinkled with elements and still have room for a title and journaling. These template sets are $1 in the Farmer's Market sale (Nov 25-Nov 30). I'll leave you with these amazing pages from my Creative Team and the HoneyBees using my new releases this week! 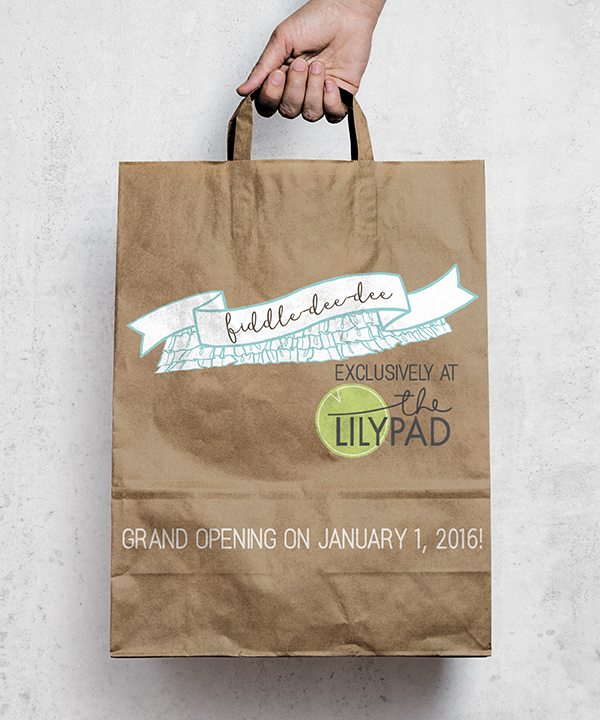 I hope that you were able to fill up your shopping carts with loads of great deals. I am sending out a wish for a Happy Thanksgiving to all my United States friends! To everyone else, have a great weekend and Happy Scrapping!